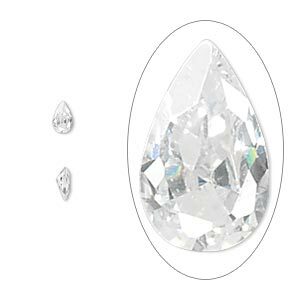 Gem, cubic zirconia, white, 12x8mm faceted pear, Mohs hardness 8-1/2. Sold individually. Item Number: H20-1060ZW Have a question about this item? Excellent quality, sparkling clear cubic zirconia. The world's best diamond simulant. 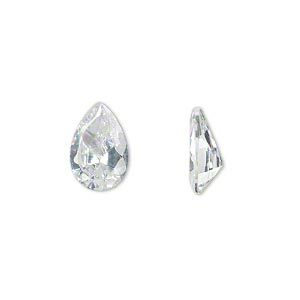 Gem, cubic zirconia, white, 5x3mm faceted pear, Mohs hardness 8-1/2. Sold per pkg of 5. 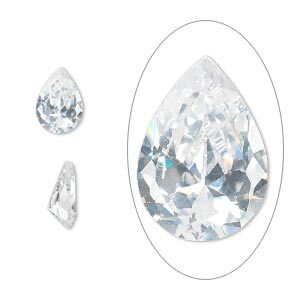 Gem, cubic zirconia, white, 8x5mm faceted pear, Mohs hardness 8-1/2. Sold per pkg of 5. 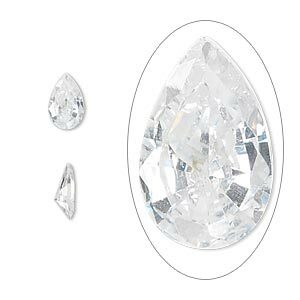 Gem, cubic zirconia, spinel white, 10x7mm faceted pear, Mohs hardness 8-1/2. Sold individually. 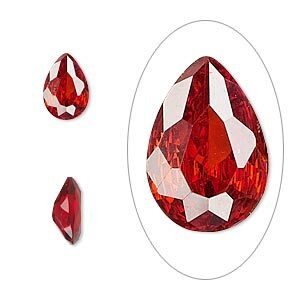 Gem, cubic zirconia, ruby red, 10x7mm faceted pear, Mohs hardness 8-1/2. Sold individually. 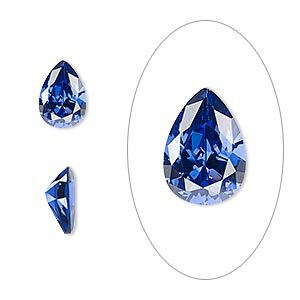 Gem, cubic zirconia, spinel blue, 10x7mm faceted pear, Mohs hardness 8-1/2. Sold individually. 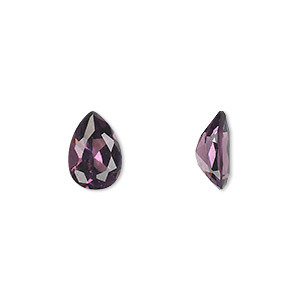 Gem, cubic zirconia, alexandrite purple, 10x7mm faceted pear, Mohs hardness 8-1/2. Sold individually. Gem, cubic zirconia, emerald green, 10x7mm faceted pear, Mohs hardness 8-1/2. Sold individually. 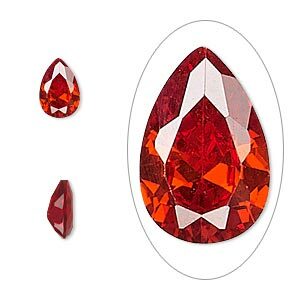 Gem, cubic zirconia, ruby red, 9x6mm faceted pear, Mohs hardness 8-1/2. Sold individually. 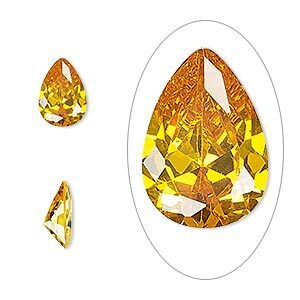 Gem, cubic zirconia, topaz gold, 10x7mm faceted pear, Mohs hardness 8-1/2. Sold individually.